I confess to not knowing much about Stanley’s manufacturing prowess or marketing strategy at the time the #62 was conceived, developed and marketed aside from the obvious: Stanley was on the path to becoming the “Toolbox to the World” in the earliest frames of the 20th century, and this particular plane was one of the Company’s more interesting offerings. 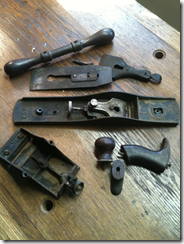 Stanley innovations such as the adjustable mouth and endwise depth adjustment knob were mated to a jack plane’s body, along with low angle frog base, and the #62 was born. 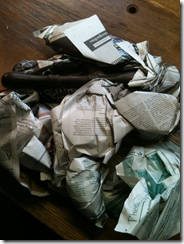 Stanley’s Sargent Co. competitor followed suite, offering a nearly identical product (the No. 514) from 1912 to 1935. 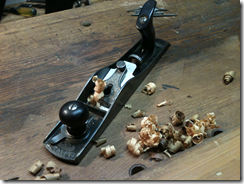 As an aside, other low-angle bench plane offerings from Stanley included the #164 (low angle smoother) and #64 (butcher block plane, same as the #62, sans adjustable mouth). There is no Stanley #162, oddly enough, but I digress. 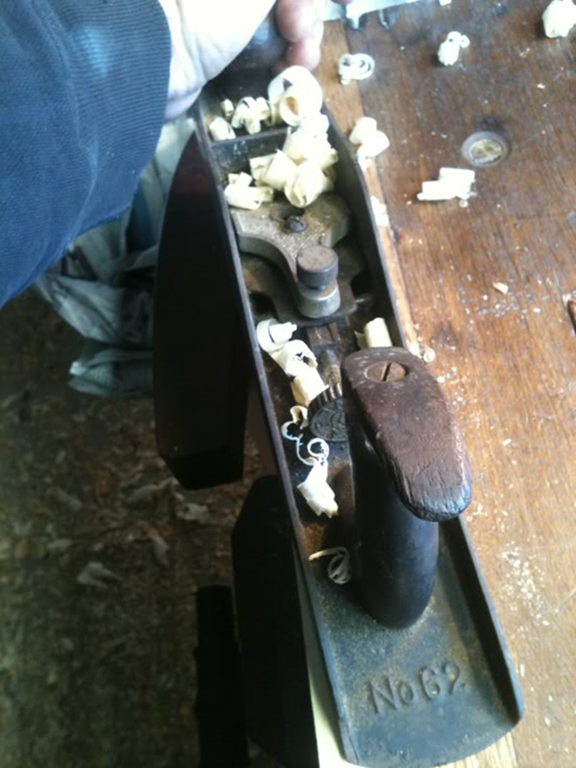 Stanley presented the #62 as being designed for heavy work across the grain; Sargent offered the type as being “…a heavy plane… especially intended for cutting across the grain [or) for use on knurly cross-grained wood where the ordinary block plane would be too light.” So, a block plane to be used like a jack on difficult grains and for cross-grain planing (traversing. 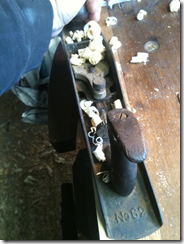 I’m not typically concerned with blow out when traversing, so why should the tool buyers of the day spend 30%+ more for a low-angle jack vs. a standard bench plane? Why indeed, but 37 years of sales says the answer was evident to more than a few. At first sight, the #62 may not impress. 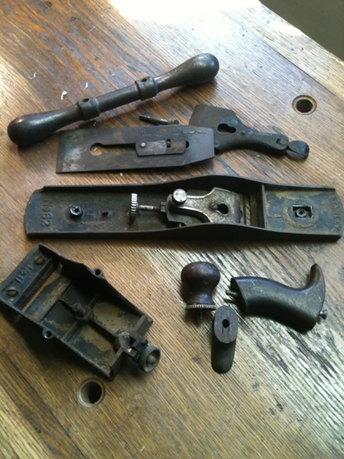 New arrivals to vintage tooldom often look at a Stanley original and wonder where the guts are; no 45 degree iron, or visible adjuster or frog to be seen in the middle part of the tool’s profile, just knob and tote. 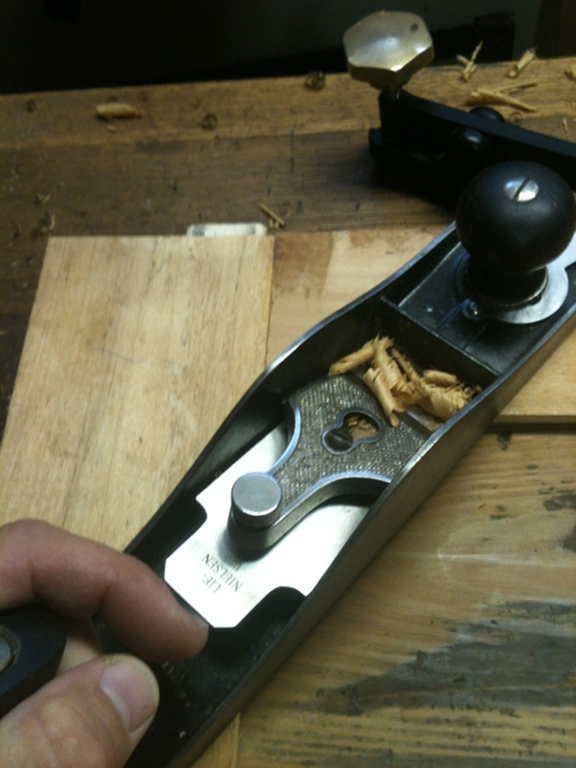 The plane is a mutt, in essence, a melding of jack plane and low angle block. I was one that didn’t get what all the fuss was about – it wasn’t anywhere on my ‘must haves’ list – until the tool landed on my bench. Even then, my particular #62 was a plane that only a mother could love. The mouth was chipped (a common malady), a corner was missing from the rear sidewall, the tote was in pieces and the eccentric lever was missing. 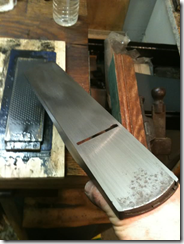 The iron was used up as well, and the sliding section of the sole was pitted. Why in the name of all things rational did I pick up such an albatross? Good question. I rationalized the purchase a bit by reminding myself the selling price was well below market rate and it was less than the cost of a new one from either Stanley or Lie-Nielsen. But didn’t it take additional resources to get it into shape? Yeah, there is that. Did the final product’s cost exceed that of a new one? In the case of the new Stanley SW offering, yes. But mine’s vintage, you see. And if you don’t get the allure of vintage over new, the whole refurb process won’t make much practical sense either. It starting simply enough, saying “I’ll take it!” to Patrick Leach the first week of March, 2012. He said the plane was indeed a project that he was pricing to move. “Spring stuff coming, need to clear space.” But it was for parts or restore if extreme restores were your thing, essentially. Well, it’s not my thing, but having a #62 is my thing. So I jumped. And I was excited when it arrived. 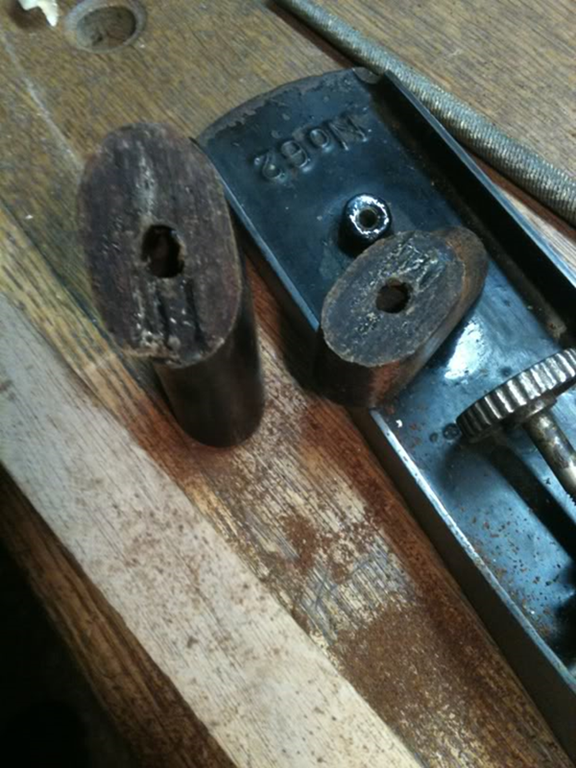 Despite the lack of iron depth, I was able to set it and make shavings as an early rite of passage to enter my shop. But something wasn’t right. As I dug deeper into the plane’s ‘issues’ the floating plate portion of the adjustable mouth was clearly riding deep between the side rails. A straight edge told the tale as well. Lots of lapping, and I solved that problem. 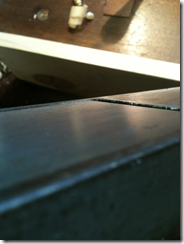 The pic that follows shows the initial contact with the floating plate. Progress! It also shows some pitting towards the front of the sole that’s not a detriment to performance / is staying put (character is okay in my shop). On this shot, the rails are now flush with the plate. 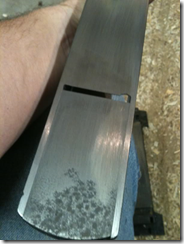 But notice the front edge of said plate… It’s curve doesn’t match the sole of the plane. Grinder and sanding addressed that. 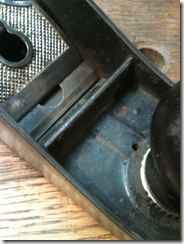 To clarify, the sliding section actually had a radius that was lopsided… pulling the sliding section forward got it flush on one side (the right side, looking down on the plane from above) but it protruded the sole by more than a sixteenth, almost an eighth inch, on the other side. I ground the sliding section so it’d be flush when in this ‘never in this position really’ position… the straight at the mouth is actually square to the sole’s mouth, it was just out of kilter at the front of the plane. 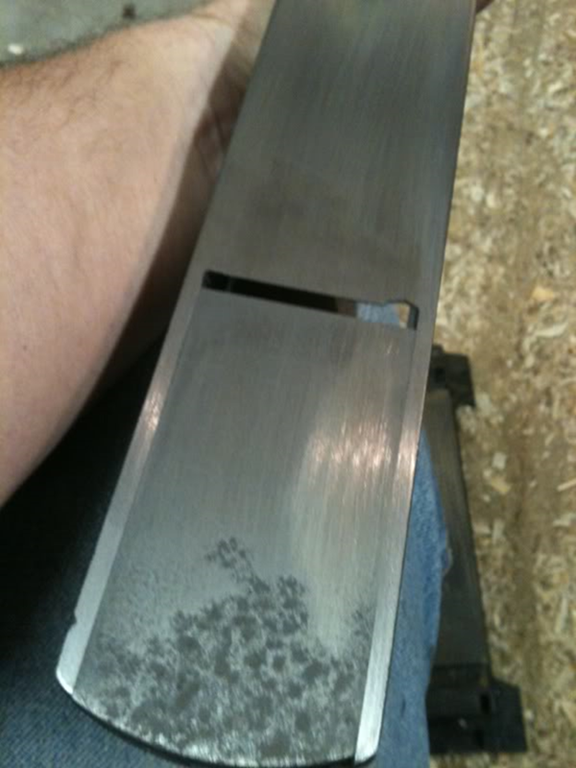 Did I make the sliding section match a bad casting, or vise versa? Guess that doesn’t matter, just wanted consistency. The tote had a previously repaired but now busted tote that needed repair. I cleaned the break and glued it up. Then I cut the break clean (fix failed) and tried twice more before attempting to add mechanical fasteners (wire nails) up the inside of the tote from the bottom. 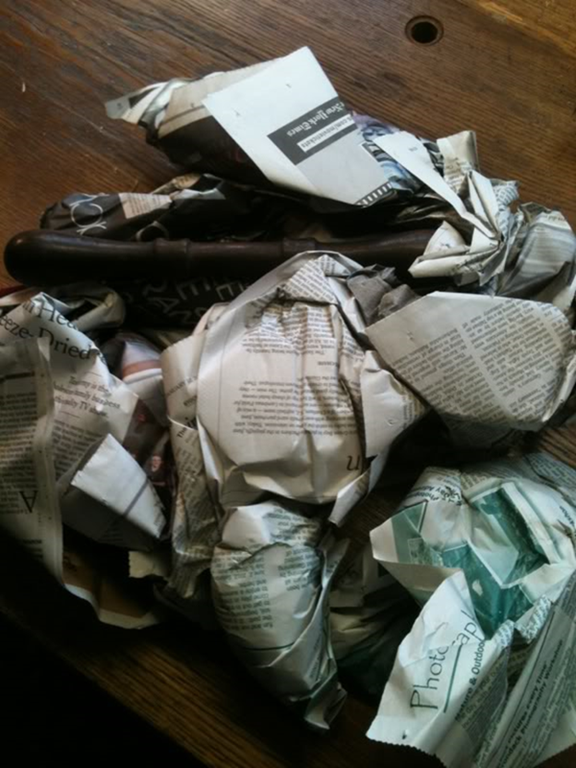 Well, when I tried assembly that final time, the tote basically exploded into four pieces. 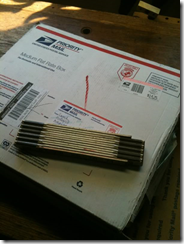 Now, all the while as the tote screw is moving in and out of the plane, it has a swagger like it’s bent at the threads. Try as I might, I can neither see it or resolve the problem. 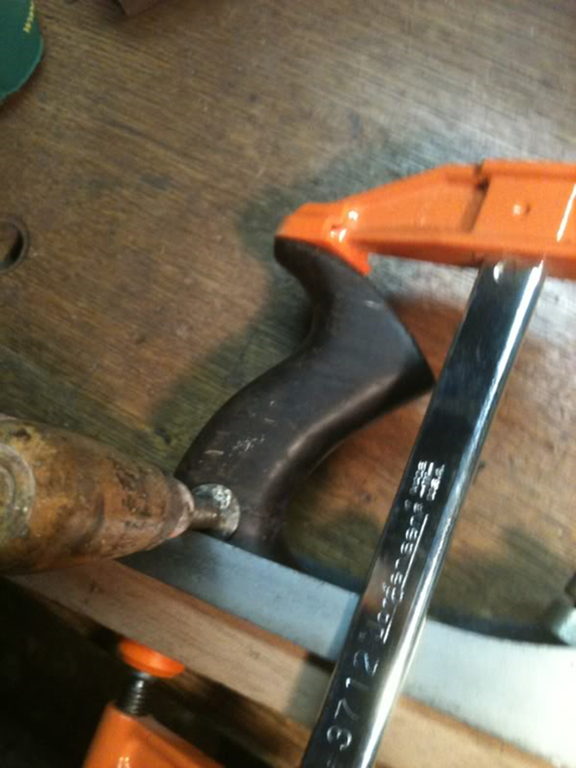 That bend definitely added stress to my repairs… Urgh. 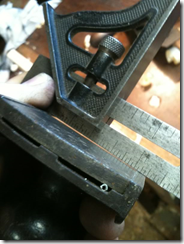 To add some detail specific to this plane regarding tote screws: For the #62, the tote screw is one piece of steel, and not the steel w/ brass ‘nut’ combo commonly found in the Stanley bench plane line. 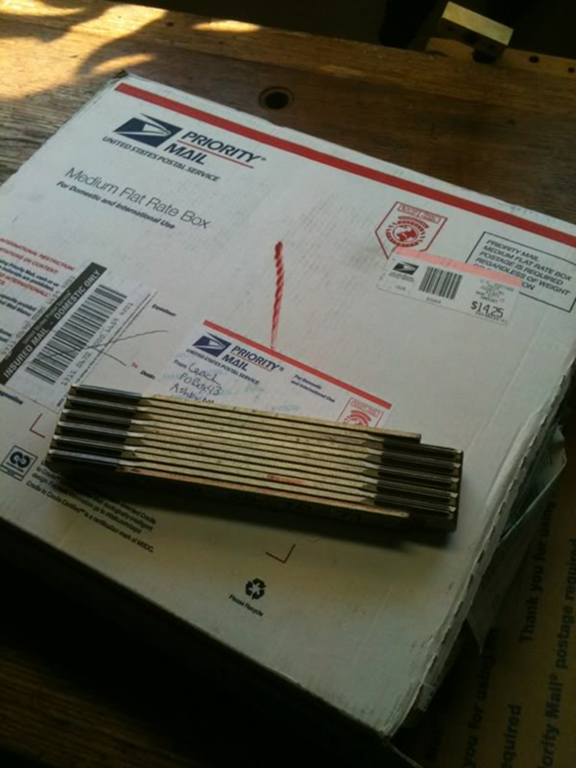 Mine was bent at the threads when the plane arrived, and I figured it was because of use while the tote was broken. Repaired tote was put under a great deal of stress at the fault line with the severe wobble exhibited each time I attempted to tighten the screw. Ultimately it broke at the threads and was now unusable. “One thing to keep in mind with bent bolts – many were deliberately done to compensate for the slight difference in the tapped angle of the main casting and the hole bored through the tote. That difference becomes much more ‘noticeable’ at the top of the bolt. So what did I do? 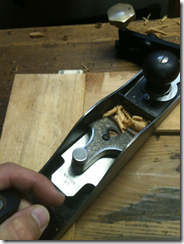 I scrounged a one-piece replacement bolt from a donor Craftsman bench plane. 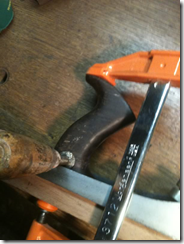 The plane needed an eccentric lever from St James Bay Tool and a new iron that I decided would come from Lie Nielsen (a choice I will never regret). This one was used up. And finally, with a beautifully rebuilt tote from Don W and all new and rehab’d parts together in one place, I had a #62! Why did I put so much time and effort into rehab’g this plane? That decision was pretty much made when I pulled the trigger on the purchase. Knowing all of the warts meant buying a tool that was essentially useless without some restorative work. And once I got started on each of the challenges this tool put forth, the more determined I became to make it the best it could be; there would be no partial fixes, it was pretty much all or nothing. 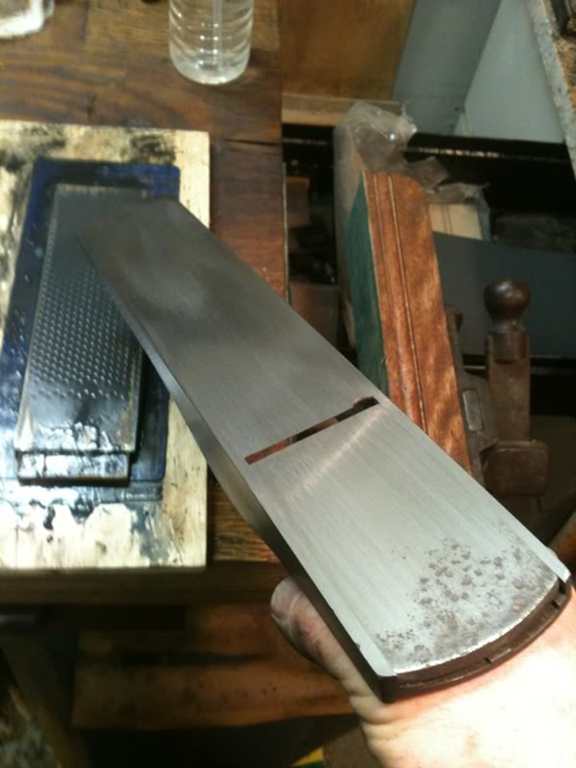 It has a new lever and iron (LN, A2 iron BTW), a flattened sole (the only other plane I’ve flattened like this was my Stanley #92) and a tote rebuild by none other than Don “Yoda” Wilwol. 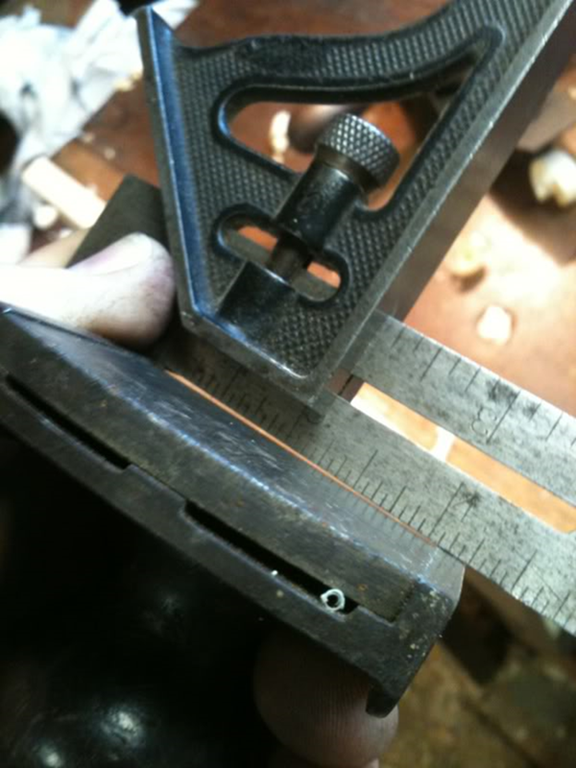 The tote repair alone is such an outstanding job that I’ll never part with this plane; it is unique within the Stanley line, with a shorter heel to allow for the depth adjuster. A normal tote can be used if the toe of the tote is cut off and re-shaped, an option I considered. The donor would have been a rosewood #4-sized tote. 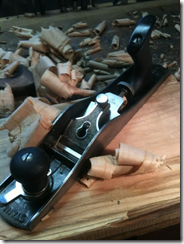 But Don’s repair is beyond reproach and helps make this plane a true prize in the wall hung tool cabinet. n Its advantages, its disadvantages, and anything else. Once the refurb list was tackled, though, and the #62 took a spot on the wall as user, it didn’t get used. 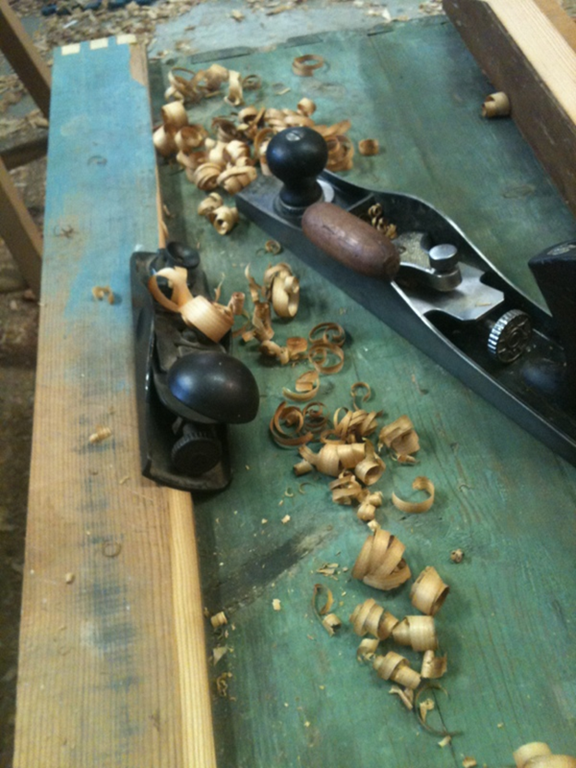 Seriously, the tool sat for what seems now like months without actually tasting wood or finding a niche in my work habits. 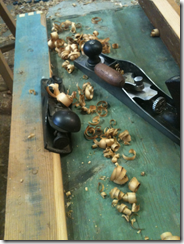 The touchstone event that drew the tool out of the cabinet and into the active tool rotation was building the lid for my vintage tool chest in 2012. I like using a Craftsman #4607 low angle block to surface the faces of panel rails and stiles, but found it on the small side when faced with the lid of the chest. When I pulled the #62 into service, I did a double take…That tool was the one for this job, for sure. 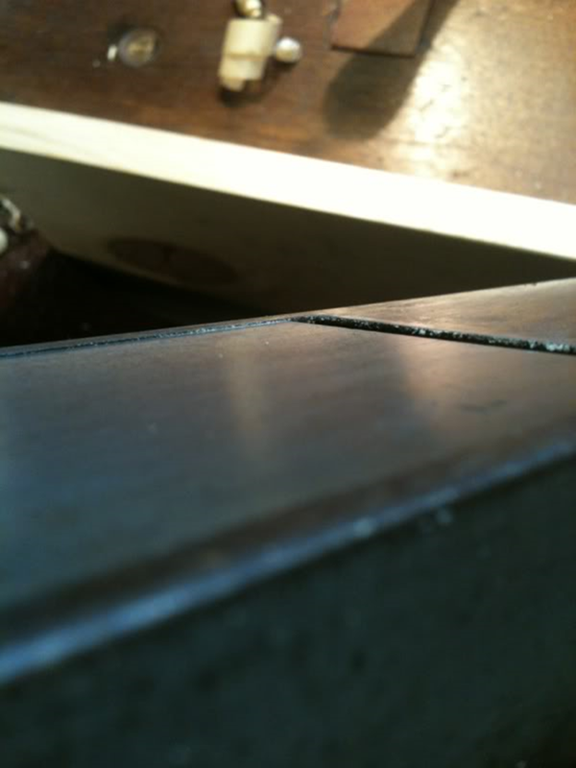 Then using the plane to bevel the upper bands made more sense than the low angle block. I’ll maintain the plane is not a smoother – it’s not – but I know why folks think of it in that way. More than a few hand tool lovers are buying a modern copy of this plane to use as a smoothing plane, also picking up multiple irons at different primary bevel angles to swap out to address tear out on hardwoods. If there’s interest in learning more on these initiatives, I can only point to the web for details; I’ve not retained any of the science behind it and simply find it easier to reach for another plane vs. swapping irons. Any post on the #62 would be incomplete without mentioning the illustrious Patrick Leach (www.supertool.com), as it is his Blood and Gore site that educates nubes like me on the hundreds of planes Stanley produced in its heyday. Go there to learn more about the #62, then browse around the other entries and absorb as much detail as you can before coming back again and again. 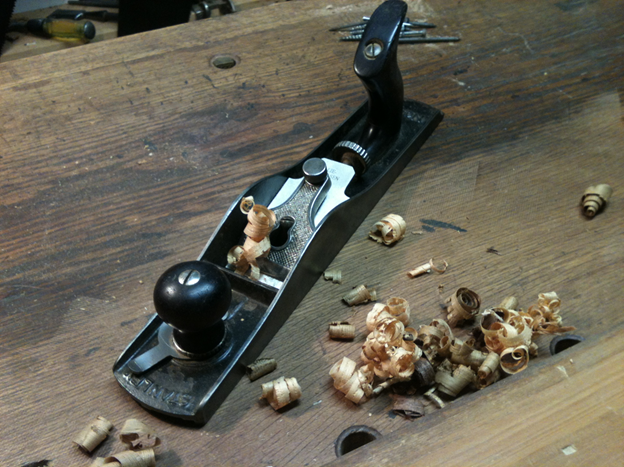 It is the Stanley go-to resource if you’re serious about getting into collecting and / or using vintage Stanley planes. Thanks to Don Wilwol, the owner of this site, for asking me to put together some thoughts on the Stanley #62. It has been my pleasure, and I appreciate the opportunity contribute to https://www.timetestedtools.net. Next post Fulton or Fulton Tool Company.